Roger Chase Utah Residency and the UVS Annual Recital, February 6-10! We have a big viola week coming up! Renowned British violist Roger Chase will be returning to Utah for a series of concerts and classes, followed by one of our favorite events – the UVS Annual Recital! A special Tag-Team Performance of Vadim Borisovsky’s arrangement of Prokofiev Romeo and Juliet by Emily Barrett Brown and Sunny Johnson! How long have you been in Utah? I first came to Utah in 1987 to attend the Violin Making School of America. I graduated in 1983, then taught at the school for four years before opening a shop near Liberty Park in 1988. What services does your shop provide, and is there an area that you specialize in? 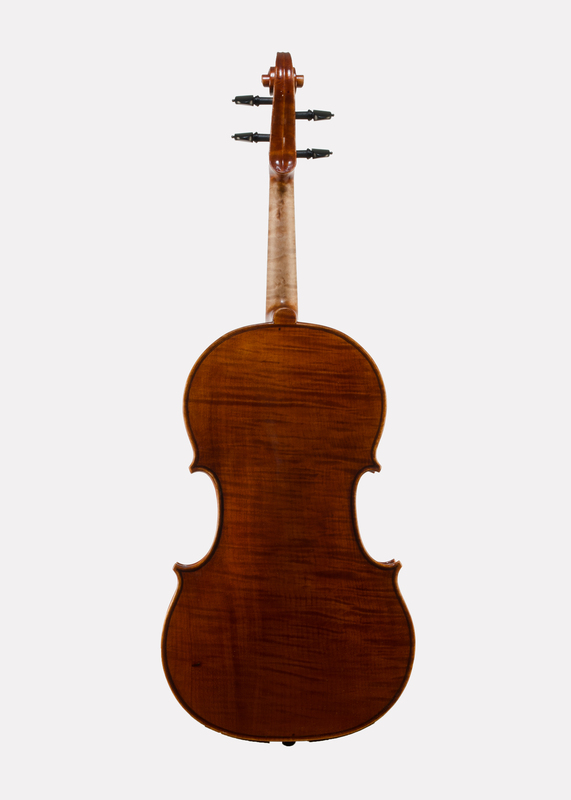 I focus on new making of violins, violas and cellos. Mainly violas and cellos. I am also available for repair work. What do you love about the viola,anddo you have a particular sound or concept that you are aiming for when you make violas? I grew up studying the violin but started playing the viola in college and loved its deep, rich sound. When I started making violas here in Utah I built a number of them for David Dalton’s students at BYU. I learned a lot from those instruments and from following the players through the years. What I focus on is building an instrument that is even across the register, speaks quickly, has a wide dynamic range, and colour to the voicing. Can you play pianissimo and still have clarity and be heard? A viola that is just loud, without colour to its voicing, is boring to me. A viola that can stand up to chamber music work must have character! Are your violas influenced by particular historical models? 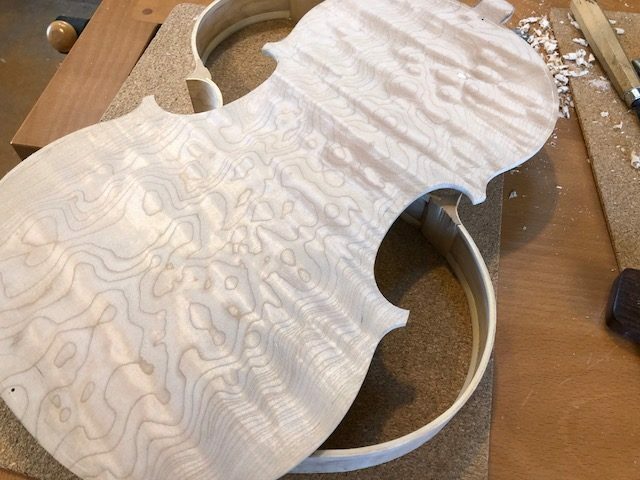 I want the instrument to be easy to play – I use an Amati pattern because I like the sloped shoulders, which makes higher position work easier. Do you play music yourself, and do you have hobbies or interests away from music and instruments? I Currently I play violin in the Salt Lake Symphony. Outside of my work I love hiking and mountain biking, and I just returned from Canada where I got to do both at Whistler Mountain! Looking forward in seeing everyone at Viola Day !! Carrie has recently finished two new violas and will be starting a large viola soon. This beauty will be available to try at Viola Day! I have been in Utah for for 23 years, I moved here from Minneapolis in 1995. There were other many local makers to work alongside, and an environment of youthful, energetic creativity. The viola was the first instrument I made here in SLC! I provide violins ,violas and cellos. 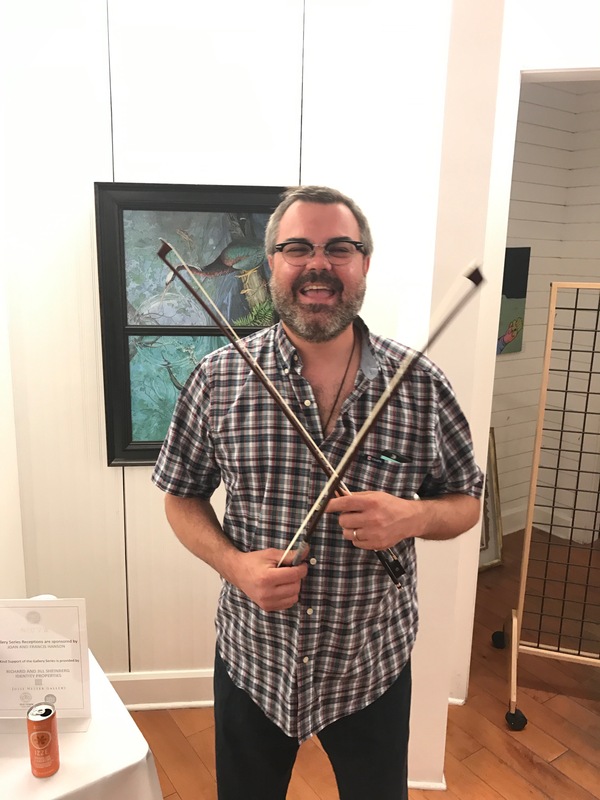 I make new instruments, and give tonal adjustments , bow rehairs, and repairs. I have been doing my trade for 30 years and continue to learn each day. I consider myself very lucky to have worked with some of the best. I have been told by many that I have a knack for adjusting and setting up instruments to reach the personal preference of the musician. I am a player myself and grew up in a family of musicians, so my goal is to communicate with my clients about ideas and concepts of sound, and then find the right playablity for the individual. Do you have a particular sound or concept that you are aiming for when you make violas? What do you love about the viola? The sound and concept of my violas are to provide an instrument that is easy to play and have a character to the sound which both projects and has warmth. I find the recent model I am making liberating in that I am playing with dimensions and wood choice. 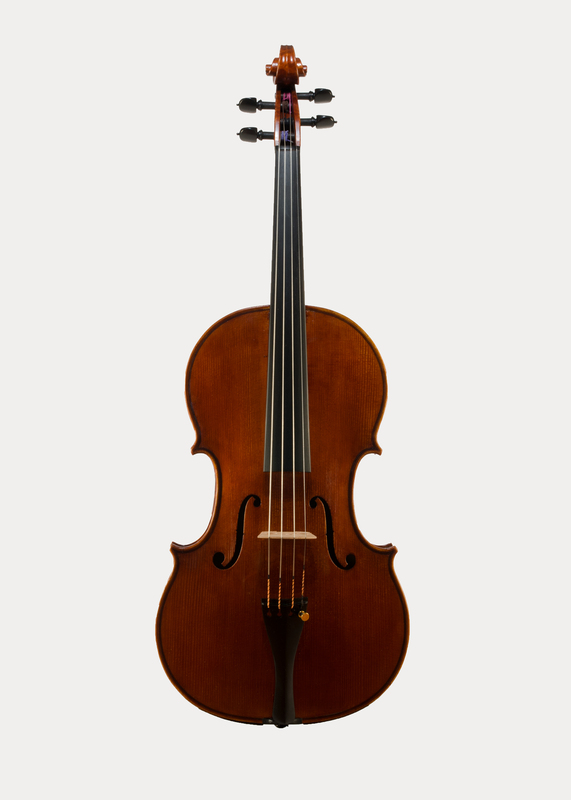 The basic model is that of an Amati. After I make my alterations it has deviated into my own personal model. So far it seems to be working quite well. I love the viola because it can have so many variations in size sound and style. I play steel guitar , guitar and fiddle. ( maybe I will switch to jazz viola ) . I have been lucky to know so many great musicians locally and nationally. I was once put on stage at Red Butte opening up for the Tedeschi Trucks Band . These days I just enjoy playing at home with the occasional gig out on the town. Do you have hobbies or interests away from music and instruments? I enjoy the mountains, snowboarding and the wild west. I feel like I need another century to scratch the surface of what this state has to offer. I really appreciate feeling a part of this community. 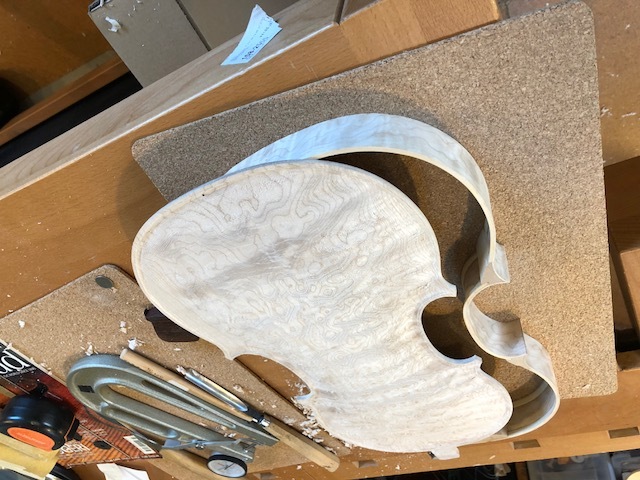 New viola currently in progress, see it at Viola Day! 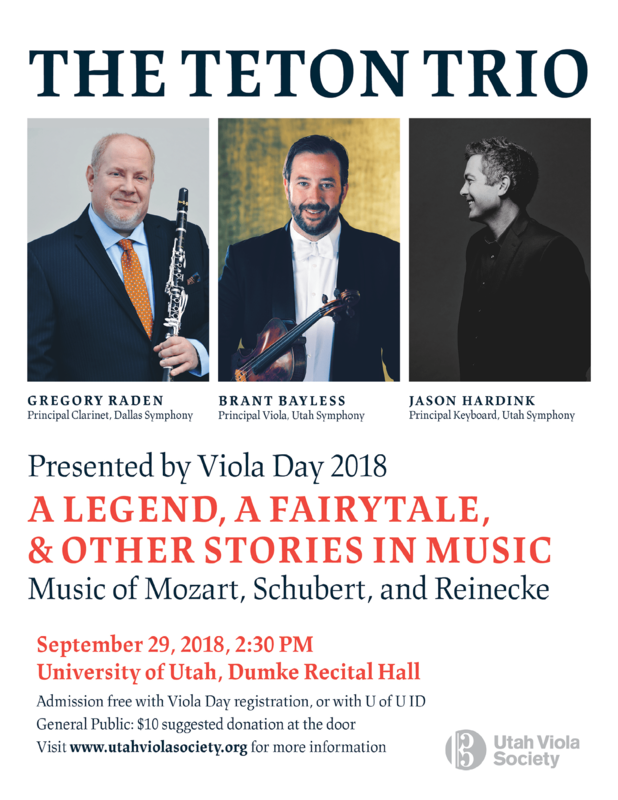 Viola Day – Full Schedule! Here we go with another year! 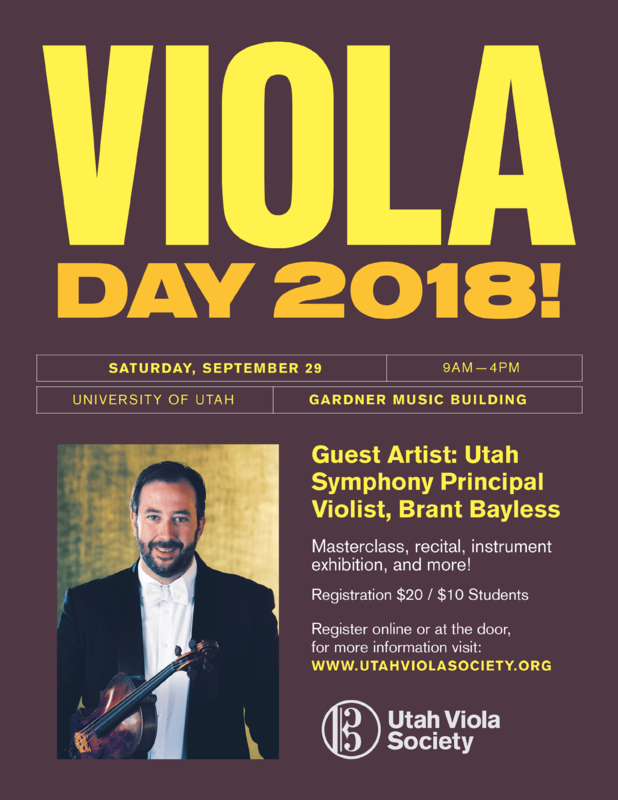 Viola Day 2018 will feature local luminary Brant Bayless, Principal Viola of the Utah Symphony. Mr. Bayless will be presenting a masterclass in the morning, and the afternoon will feature a special project of his – The Teton Trio. 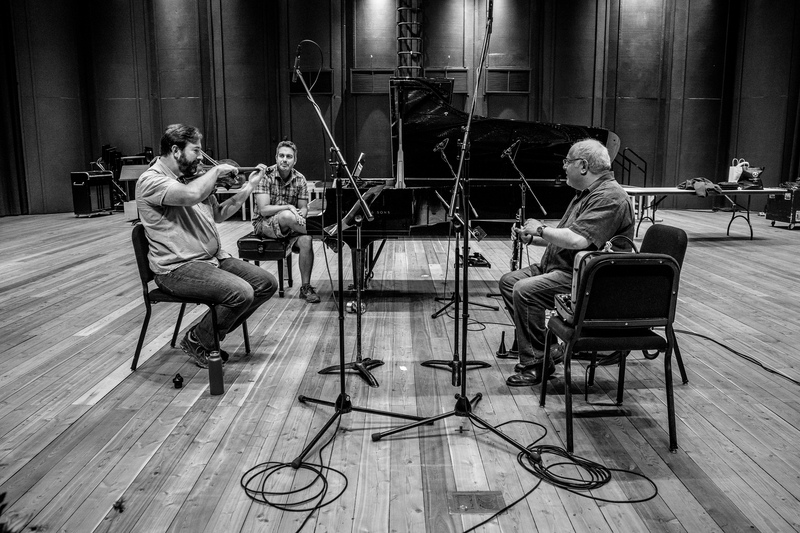 This ensemble was formed at the Grand Teton Music Festival, has been featured on NPR’s Performance Today, and has just recorded their first album! They will be presenting an afternoon of world-class chamber music for viola, clarinet, and piano, a combination which features the lyrical and soloistic side of the viola – particularly exciting when in the hands of a masterful performer such as Mr. Bayless. 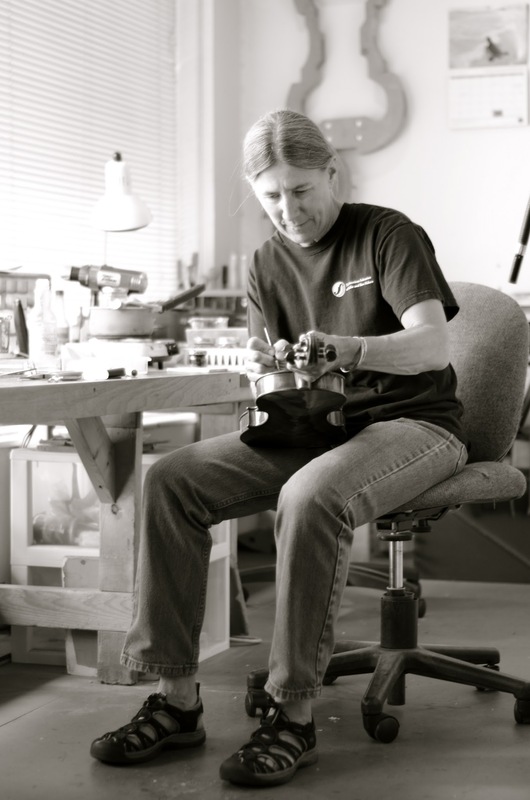 We’re also lucky in Utah to have a great local community of skilled luthiers. If you’re shopping for a viola, curious about violas, or just love to play all the violas you can get your hands on – you’ll have lots to do at Viola Day! Scroll down to read through the full schedule of Viola Day events, you can pre-register by renewing your UVS membership here.